Here, at STATSCORE, we know very well that our business is centred in and around sport. This is the reason we have made sure, we have come up with solutions that take into account the needs of league organizers, federations and clubs. We do not try to meet you halfway – because truly knowing how important your business is, we have developed dedicated solutions to increase your competitiveness in terms of attracting more sports fans and sponsors. STATSCORE provides sport organizations with powerful data feeds to boost mobile applications and websites. 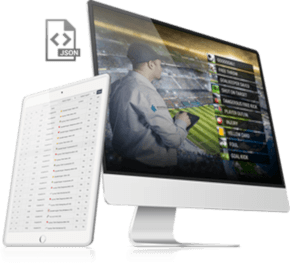 As well as the feeds, we can equipe you with minisites that will charm your fans and give them all the stats, facts and live match information they need. 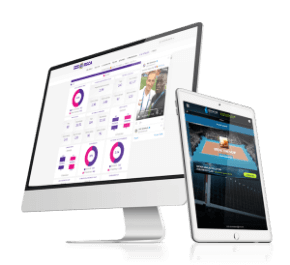 We created our SportsAPI feed to provide you with in-depth statistics across numerous competitions. At present we can offer data from almost 6,000 competitions around the world. The stats structure is clear and unified across all sports. SportsAPI is available in either JSON or XML format, making it a comfortable fit for all your sports data related services. When your main need is secured, fast and reliable access to LIVE stats, along we come with a feed that provides data directly from the venue. ScoutsFeed is something more than just a live data source – this is an extremely fast stream of events brought to you as they happen, with an incredibly low latency from stadiums and indoor venues. 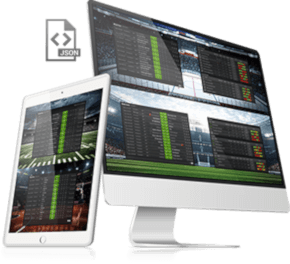 A must have for all competition organizers who want their fans to have easy access to all the live facts, in-play visualizations and seasonal data in a single location. Our rich platform takes the competition to a completely new level of experience for fans. Your sponsors will not be disappointed with the numerous spaces we've made available to spread their marketing messages. Last but not least, LeagueCenter is fully customizable to make sure that it will fit right in with your brand's visual identity. While LeagueCenter provides a platform for a whole competition, TeamCenter focuses on a single club. Developed by sport fans, for sport fans, it has been given every possible feature that a real supporter could ever want. 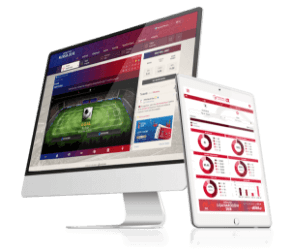 LIVE animations, seasonal stats, players details, fixtures and so much more are all gathered on this great platform. Now available for your website and with your branding. WHAT ARE THE BENEFITS FOR THE DIFFERENT TYPES OF SPORT SECTOR ORGANIZATIONS?